See before & after pictures here. Many people consider the kitchen the heart of the home. The smell of dinner cooking can fill a house with memories. The sounds of friends laughing around the table can turn any day around. Yes, the time shared in the kitchen becomes some of our most precious memories. It is no different for us here at The WARM Place. Each of our evening groups start with a pot luck meal served at 6:30pm. The families and volunteer facilitators bring wonderful food to be shared (chances are there will be pizza and for sure, fried chicken!) While the food is delicious, the best part about the meal is the time spent together building community — sharing about our day, a softball game or a math test. There may be laughter about a funny memory of a loved one or celebrations of birthdays approaching in the upcoming month. These are the some of the sounds you will hear in the heart of our home. In 2014, we were selected to be the recipient of the Junior League of Fort Worth’s signature project. Thanks to this wonderful group of friends, we have a completely remodeled kitchen, providing many improvements and efficiencies for our children and their families. Paige Pate, 2014 President of the JLFW said, “The WARM Place touches the lives of children and their families during a time of great need—a perfect match for our mission. The Junior League is honored to work with this wonderful organization, and we look forward to providing both financial support for the renovation as well as a full committee of Junior League volunteers to help with The WARM Place programming next year.” In total, The WARM Place received $85,000 to “Renovate a Home with a Heart” in recognition of the League’s 85th anniversary year, as well as several JLFW volunteers to help throughout the year. During 2014, we worked closely with the project team from JLFWled by our very own WARM Place volunteer and League member, Brooke Scogin. The main focus for the team was improvements that would enhance our families’ experience during their time atThe WARM Place. We knew we had to find just the right contractor to bring our vision to fruition. After many interviews and proposal reviews, we knew we had found our man in David Goodroe, owner of Designs for Living. David was the only one who upfront volunteered that he would donate services from his company as well as work with his vendors and subcontractors to seek additional donated services and discounted goods. He promised that he would come in under his bid, and that is just what he did. We learned that Designs for Living is a company known for their generosity and support of the Fort Worth Community. We are so lucky to have experienced their kindness and generosity first hand. After the design was agreed upon, the real work began in early February of this year. During the three months of remodeling, we had to suspend our potluck dinners. We didn’t really realize how much we would miss those evening meals. It seemed so unusual to start the evening without a meal. 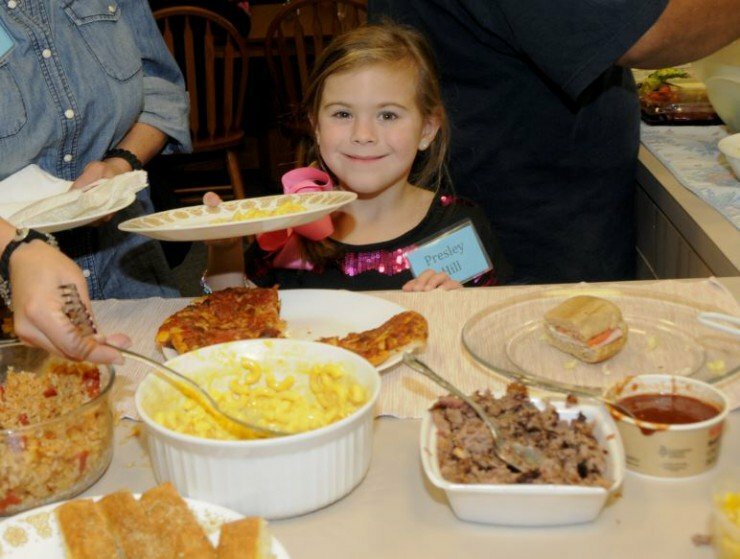 The volunteers, staff, and most of all, our families, greatly missed that time spent eating wonderful food in the heart of our house—our kitchen! The Designs for Living team utilized the existing space by changing the layout and flow of traffic. We now have larger walkways surrounding a large center island. All the appliances were updated and strategically placed to allow volunteers to work more efficiently without being on top of one another. The generosity of the vendors and Designs for Living was amazing! Plumbing updates and relocation of air conditioning vents were donated by Robert B’s Plumbing. The flooring was updated throughout the kitchen and dining areas with epoxy flooring thanks to generous donations from Advanced Cement Specialties. Granite countertops were installed throughout the kitchen at a discounted rate from Dura Mar Kitchen and Bath as well as a new backsplash from McNamara Flooring. We also received new lighting and cabinetry to create a clean, open and inviting space for our families to enjoy. The Designs for Living team and their vendors and sub-contractors donated over 45% of the project’s value, totaling over $122,000! We are greatly humbled by the size of this gift, but even more importantly, we appreciate that our mission was at the forefront of every decision made by the team. Granite countertops were installed throughout the kitchen at a discounted rate from Dura Mar Kitchen and Bath as well as a new backsplash from McNamara Flooring. We also received new lighting and cabinetry to create a clean, open and inviting space for our families to enjoy. The Designs for Living team and their vendors and sub-contractors donated over 45% of the project’s value, totaling over $122,000! We are greatly humbled by the size of this gift, but even more importantly, we appreciate that our mission was at the forefront of every decision made by the team. 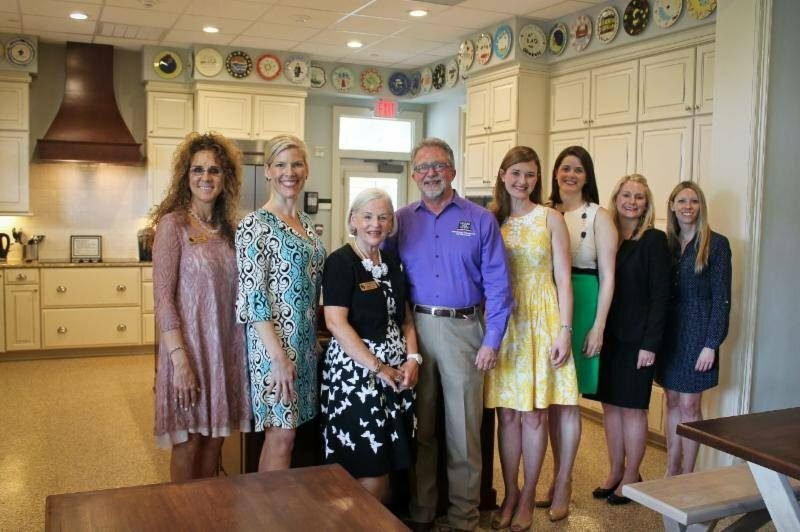 Last week, the Junior League of Fort Worth invited members to learn more about both the project and The WARM Place at a training conducted in our new kitchen. About 25 members were in attendance and learned about The WARM Place mission and program from Executive Director, Shirley Bowen and Director of Development, Lisa A. Fellers. They were also given a behind the scenes look at the remodel from Designs for Living owner, David Goodroe. It would be impossible to provide our program of grief support for children at no cost to our families without the generosity of community partners like theJunior League of Fort Worth and Designs for Living. Our gratitude is immeasurable, and our thank you is heartfelt! We would also like to thank Steve Mooney for custom designing and building our new tables and benches for our dining room areas. This special design allows more comfortable seating for our families and volunteers. As you can imagine, it is a lot of work to manage a project of this magnitude, and it would not have been possible if not for our Office Coordinator, Pam Mooney. Pam did a beautiful job while keeping up with all of her other duties—thank you, Pam! Finally, thank you to all of our volunteers and families for your patience during this project. We hope you agree that it was well worth the wait! If you haven’t had a chance to see the new kitchen, please join us for a tour on Friday, June 5th at 1:30pm.